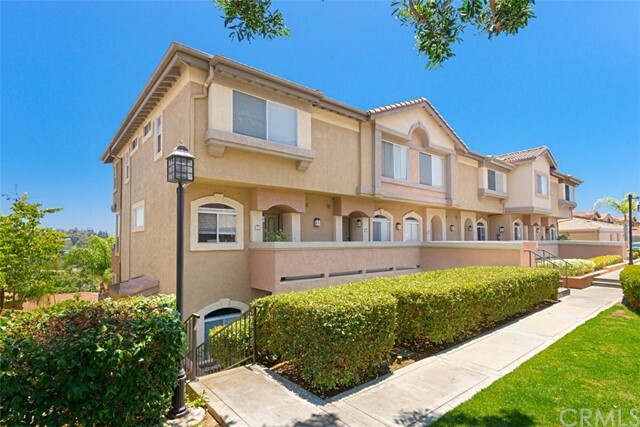 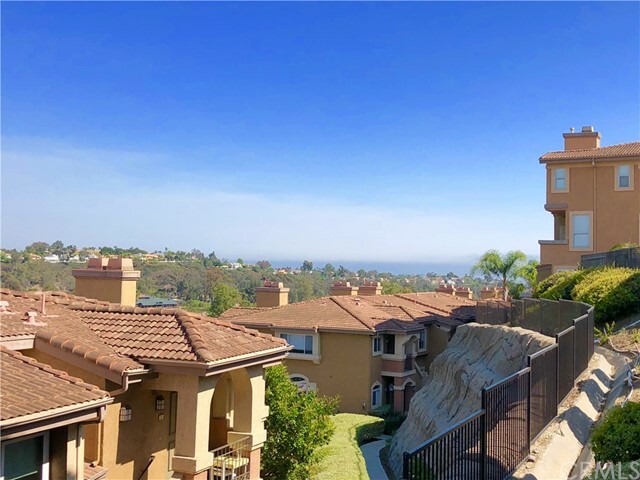 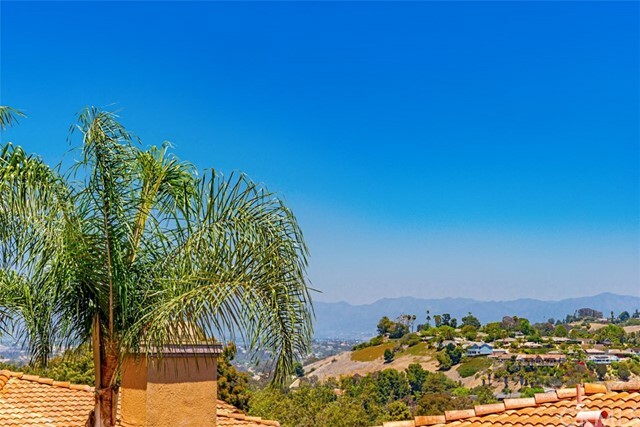 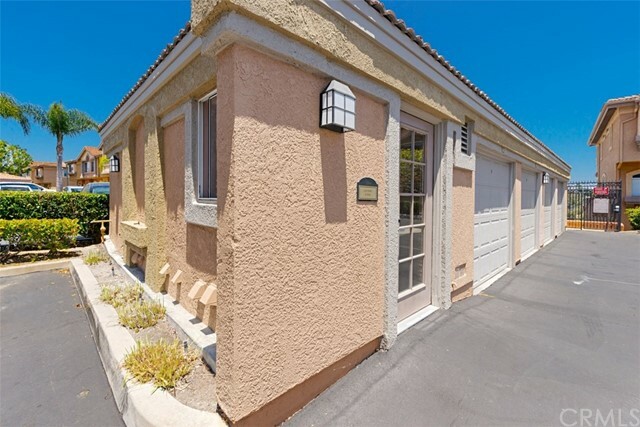 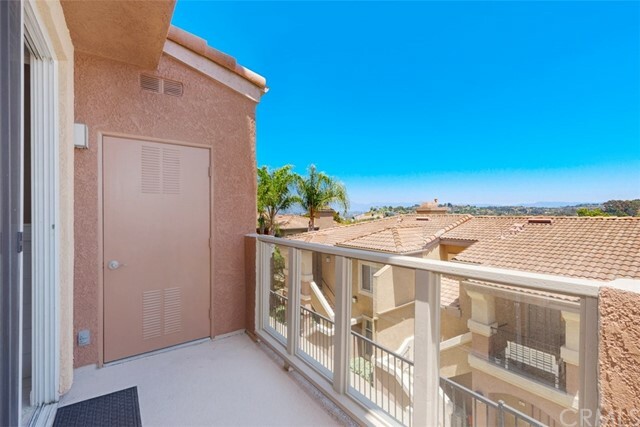 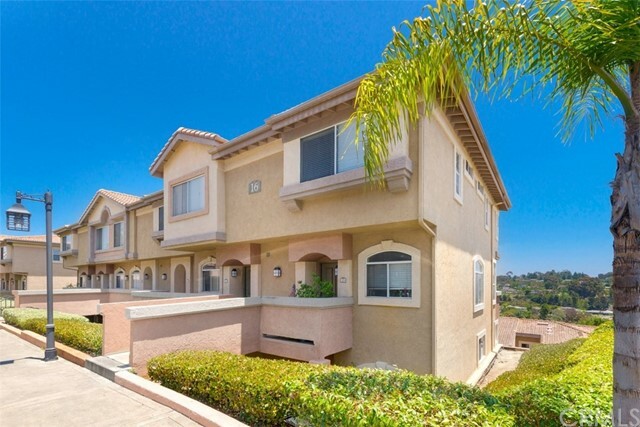 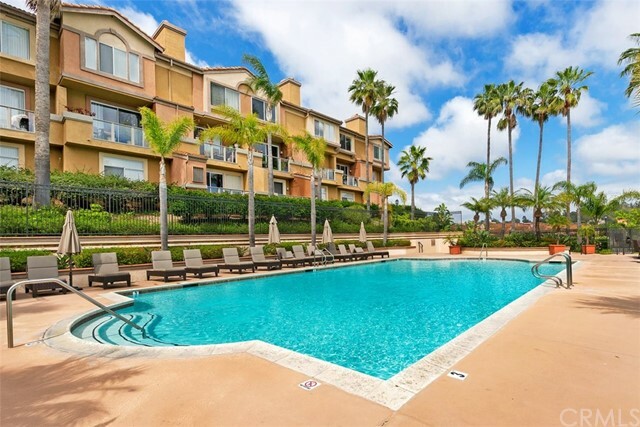 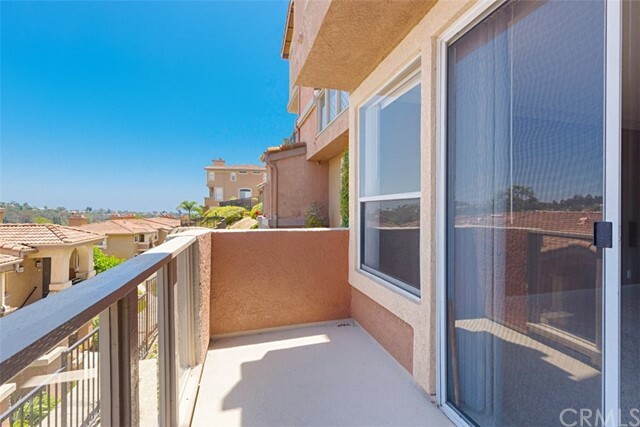 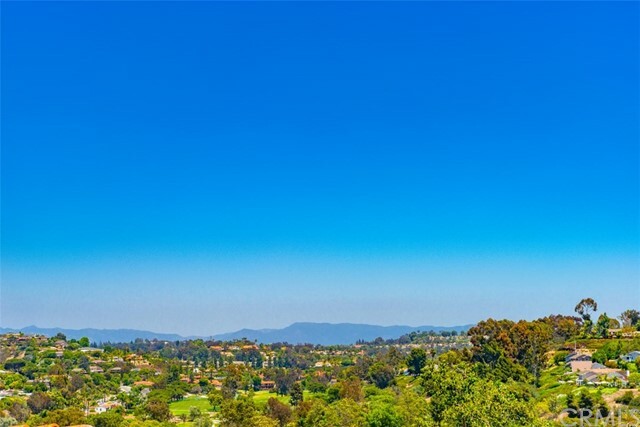 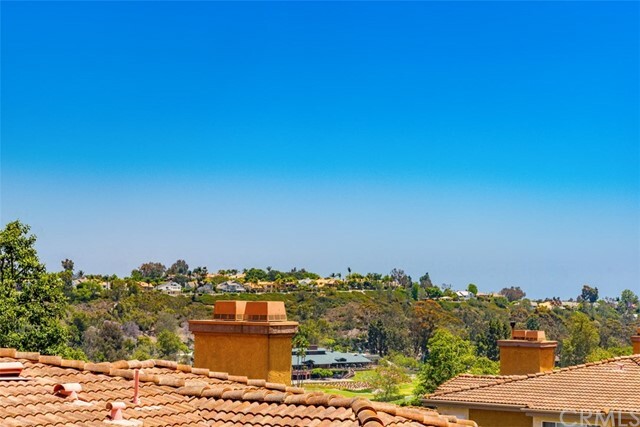 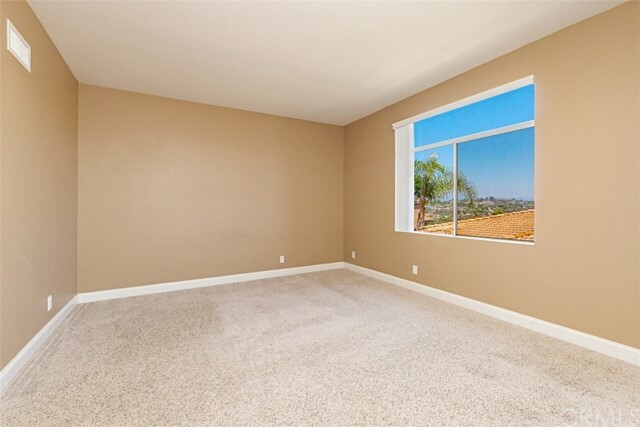 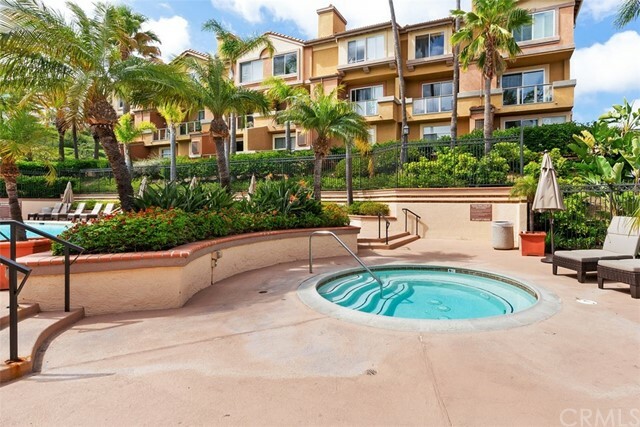 Enjoy views of city lights, Saddleback Mountain and peek ocean views! 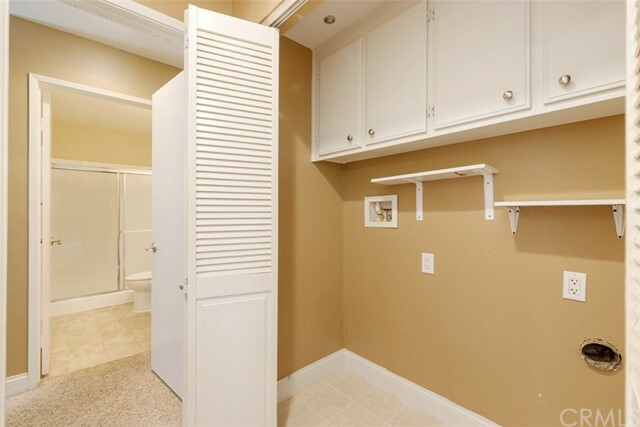 If climbing stairs to go to bed at night or to do your laundry isn’t for for you, then come see this one level condo! 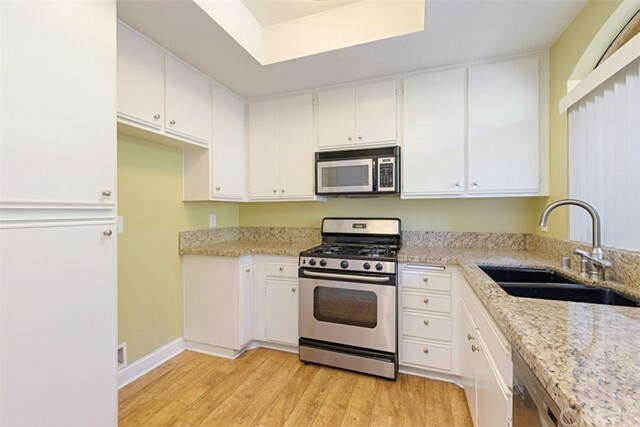 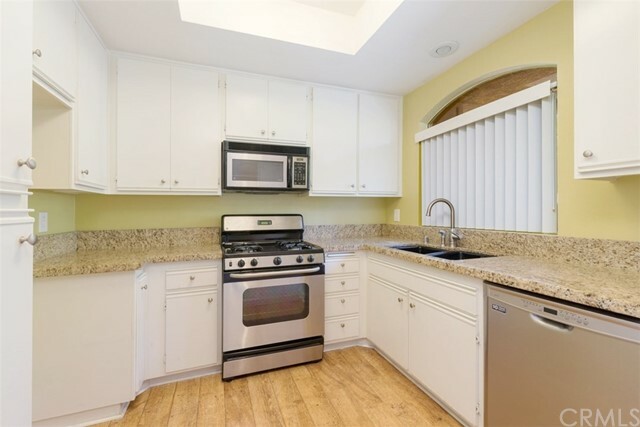 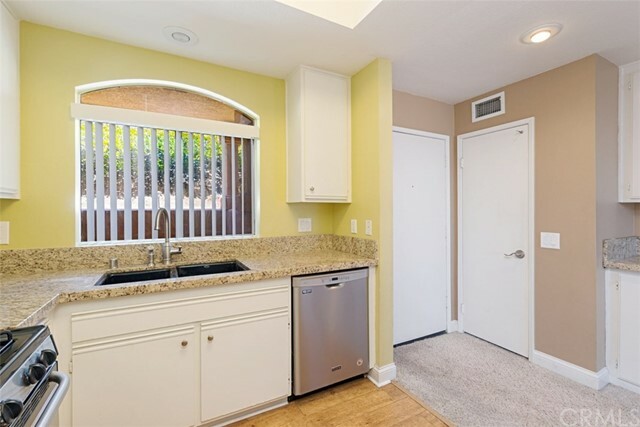 Remodeled kitchen with granite countertops, stainless steel GE and Maytag appliances (unit currently has no refrigerator, but landlord may be willing to negotiate), Koehler sink, brushed nickel goose neck faucet and wood laminate floor. 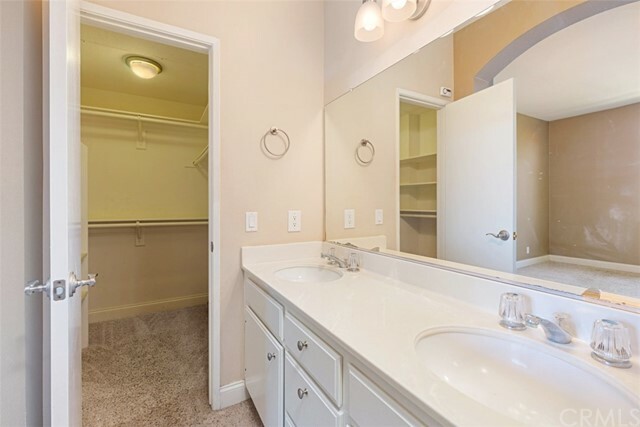 Master suite has a walk-in closet and bath has dual sinks and tub/shower. 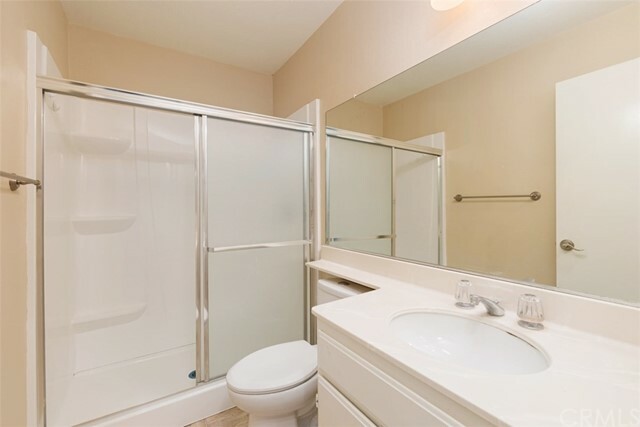 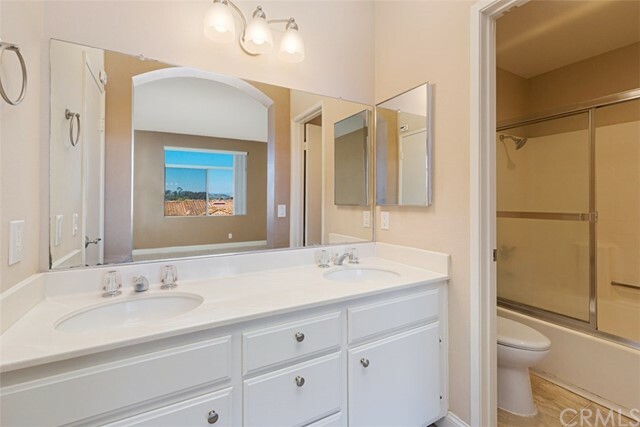 Guest bath has walk-in shower and single vanity. 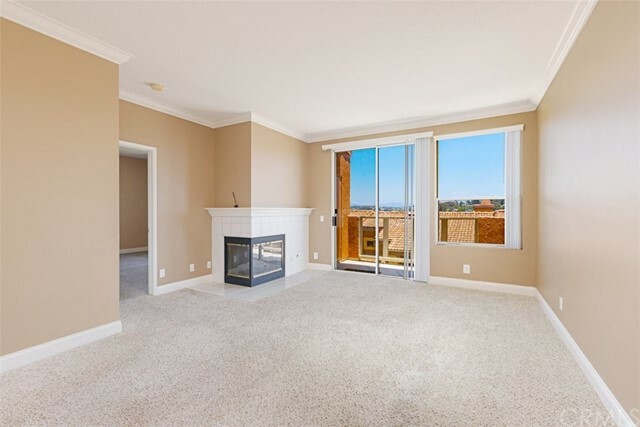 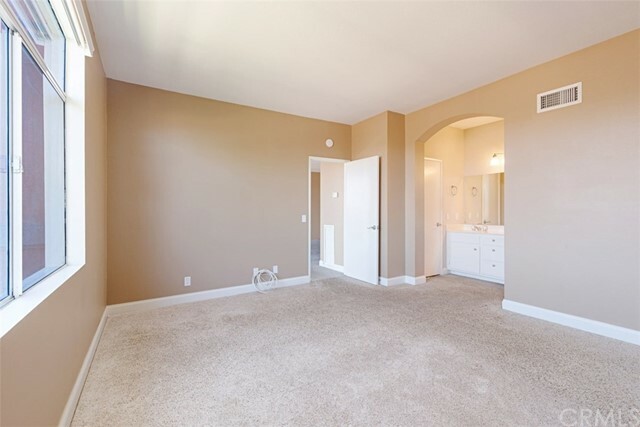 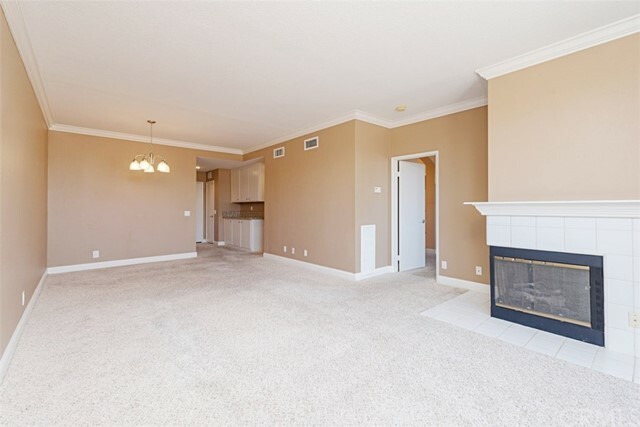 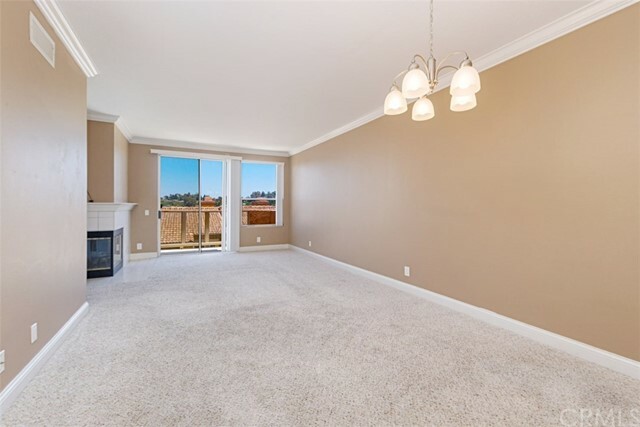 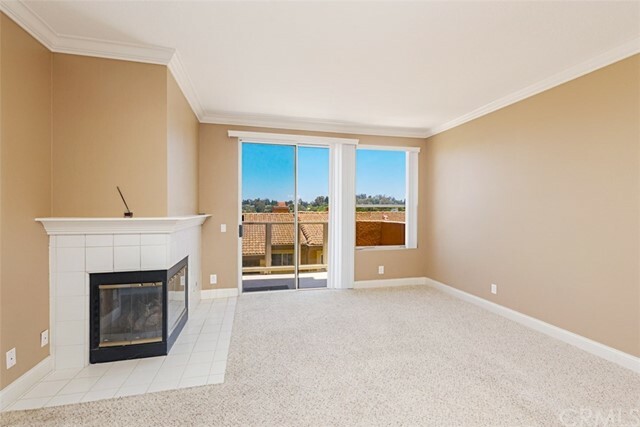 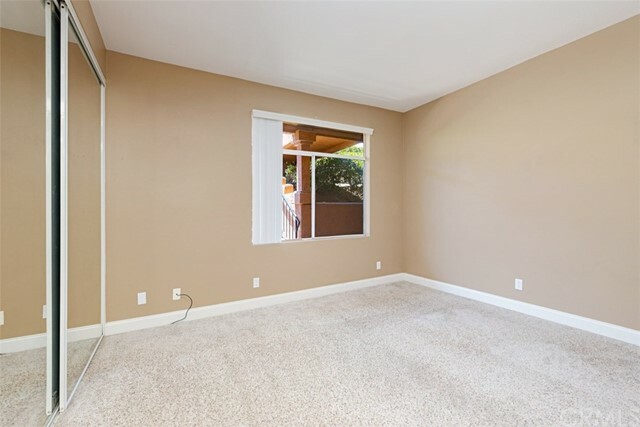 Spacious, open concept living room/dining room, cozy up to your gas log fireplace on those cool California nights or enjoy your morning coffee on the outdoor balcony. 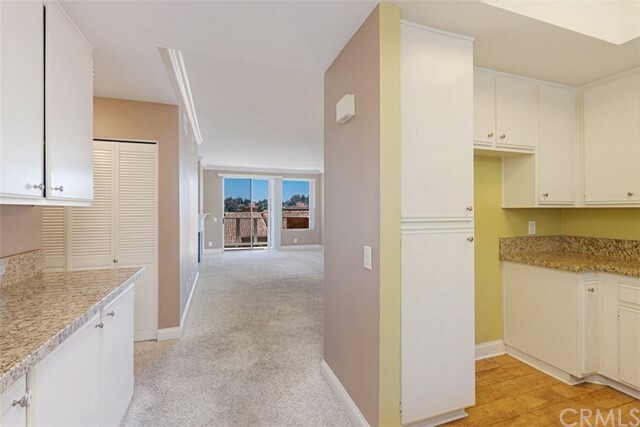 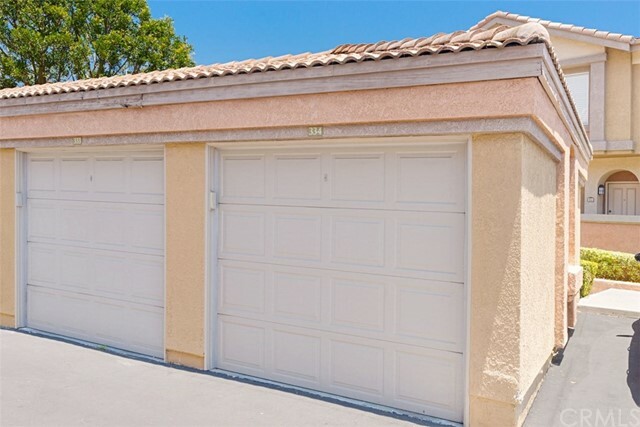 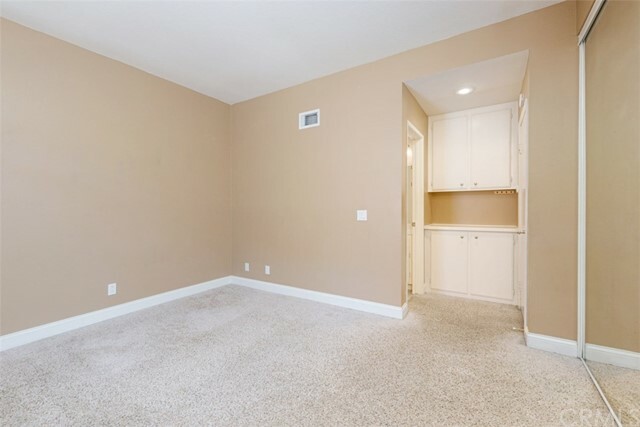 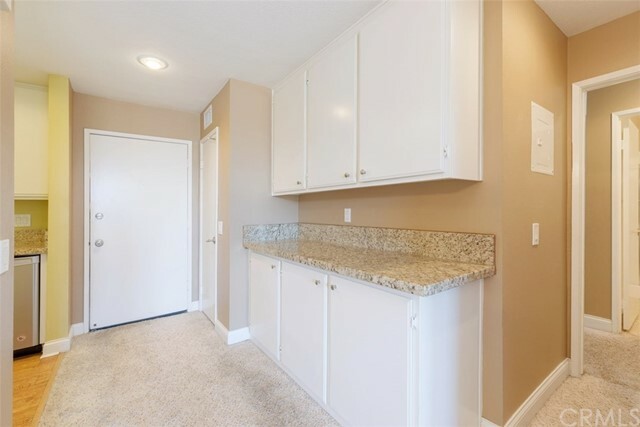 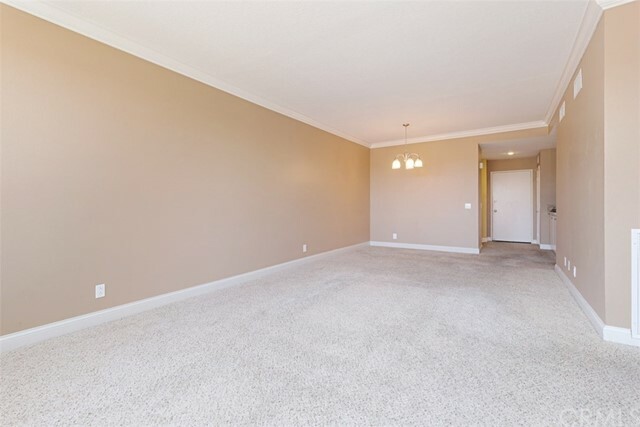 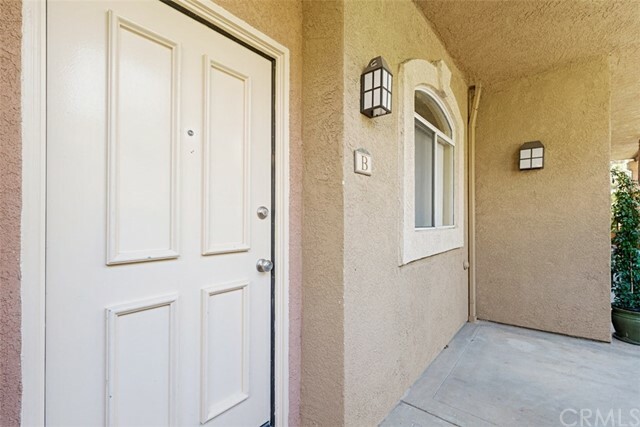 This condo also features convenient inside laundry, new carpeting, updated baseboards, crown molding, brushed nickel hardware, water & trash included and 1-car detached garage (#334) with storage cabinets. 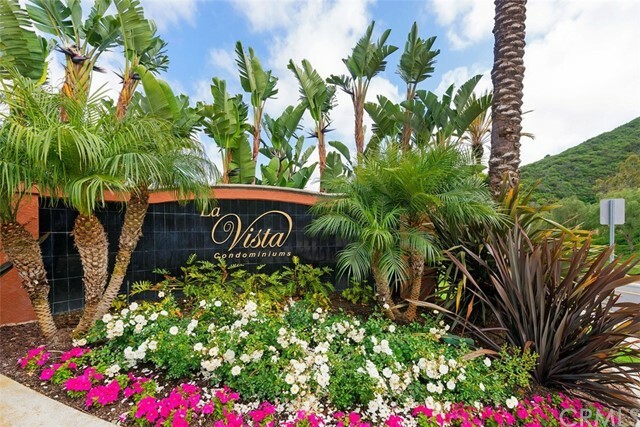 The La Vista community features a beautiful pool, spa, clubhouse/fitness center and coin laundry. 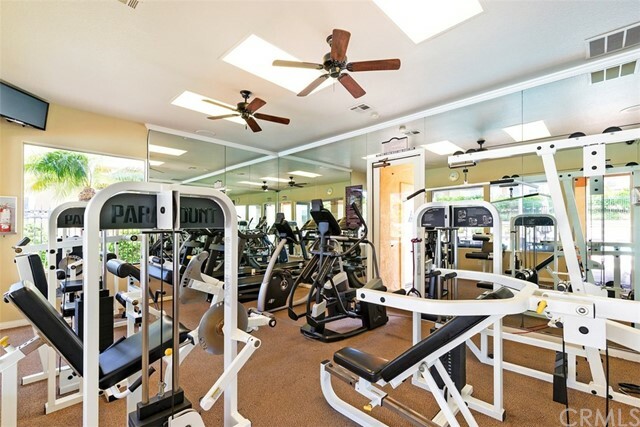 Great location just minutes to beaches, shopping, and hiking trails.